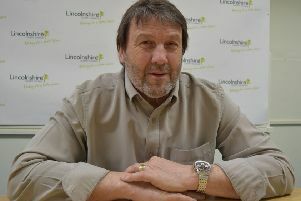 Lincolnshire County Council has adopted a plan which will see the authority cut its carbon emissions in an effort to save £12 million. The strategy will see the authority aim to reduce its carbon output by 5,736 tonnes by 2023, a 20 per cent reduction from a baseline of 28,679. Senior county councillors backed the strategy and said it was a “pragmatic” way of reducing emissions. As part of the plan, the authority will take on projects such as upgrading streetlights and installing solar panels to council buildings. Officials at the authority said the proposals could save £12.4 million by the end of the plan due to a potential rise in costs in the coming years. County council leader Martin Hill said the strategy was a sensible move following two previous carbon plans. “It’s a win win situation,” he said. “We think by being pragmatic and sensible we can save carbon emissions and money. Councillor Colin Davie, executive member for economy and place, said the plan’s target needed to be high. “We have come a long way in the last decade,” he said.